A terrific example of the sometimes long process of reviewing or obtaining a collection is illustrated by a recent experience I had with a local family. A friend of mine approached me earlier in the year, perhaps as early as January, to let me know that an older relative was considering downsizing and had coins and currency that he was looking to move. I was happy to give him my card and to remind him that while I am well versed in coins and currency, I am also fairly knowledgeable about fountain pens and mechanical or automatic watches. We left the conversation with the idea that something would happen rather soon. Days turned into weeks and soon our bright and unseasonably warm New England mid-January turned into a cold, miserable and wet early Spring. I was beginning to believe that the collection would never come to light and this concerned me as I have witnessed firsthand the disappearance of items from the older generation as those of that generation require more help. Specifically, I recall my mother's decline in health and mental function and how the possessions in her home, and later in her assisted living apartment, seemed to grow legs over time and remove themselves without anyone knowing anything about it. I wasn't concerned that my friend would take advantage of his relative, but was concerned that the relative's possessions might take care of themselves just as my mother's possessions had done. Finally, I received a phone call that the collection was in the hands of my friend and we agreed upon a date and time to deliver the collection to me for evaluation. I arrived and was happy to see my friend's SUV trunk filled with four large cardboard boxes. The boxes were heavy and they contained the collection. At this point I assumed that I would be going through bags and rolls of circulated silver quarters and dimes, just as I have done for so many other collections from folks of this generation. Many of these collectors actively withdrew silver from circulation during the transition from silver to clad coinage in the mid-1960s and this generally provided these collectors with a handsome reward years later. The other end of the spectrum for this class of collection is represented by the boom in US Mint Sets sold in the 1970s. Those collections with a heavy representation of the Mint Sets never do as well. I opened the first box and was face-to-face with crumpled up newspaper pages as cushioning material. Moving the newspaper revealed cast iron and tin toys and banks, but no coins. The second box was the same, as were the third and fourth boxes. The entire delivery had been antique toys and banks, which I know something about, but I am not fluent in this material. 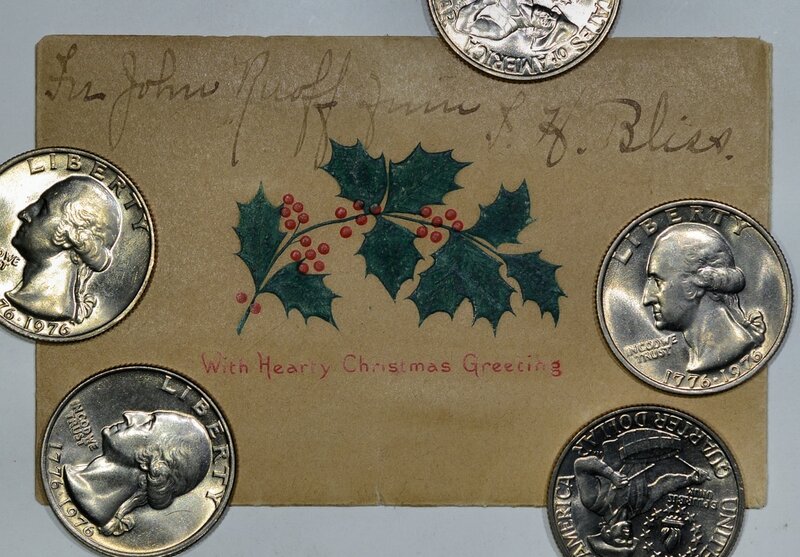 We discussed by email what my objective would be with these items and I was asked to use my experiences as a numismatist and a scientist to determine if the items were modern reproductions or contemporary to their purported age. I did an analysis and submitted the results with the idea that I would not be seeing any coins or currency. Weeks later I received a text that stated at least part of the collection was in-hand and that I could pick it up at our agreed time and spot. I waited for my friend and was surprised to see him arrive carrying a single box, not much bigger than a Harry Potter novel, and when he handed me the box I realized it also weighed not much more than a Harry Potter novel. I accepted it, but did not have high hopes. Even with this dampened spirit, curiosity ruled the day and I could not wait to open the box to examine the contents. 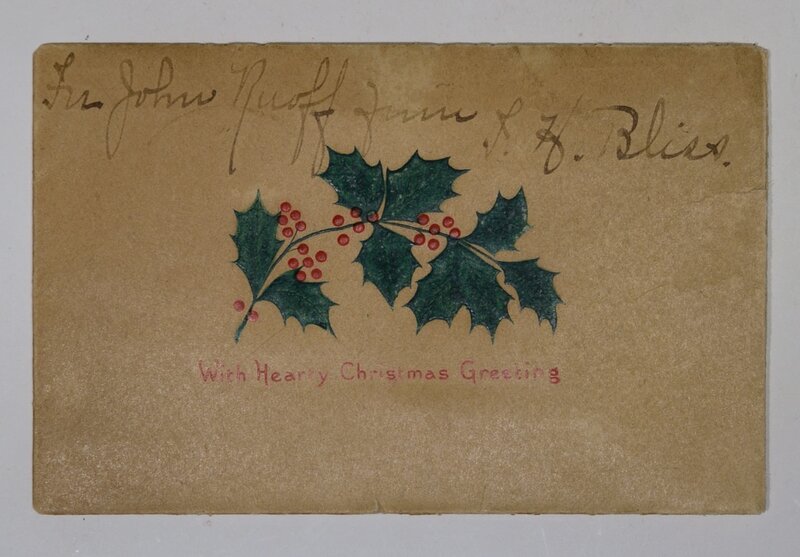 Sitting in my car, I pulled back the flaps to see a yellowed legal sized envelope staring back at me and marked with the very neat, attractive and older style of penmanship that I was so used to seeing when my grandmother was alive. 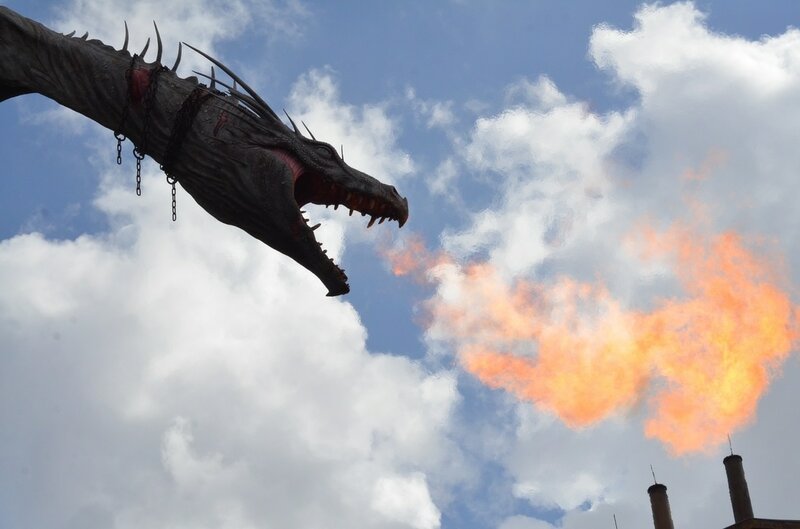 Yes, that is a dragon, and yes, I did have to have it cauterize and disinfect everything prior to proceeding with the collection. With the cleanup and obligatory discovery of an essentially worthless pile of stamps out of the way, I proceeded to go through the rest of this rather small box. My eyes scanned the interior and I saw a crumpled up pile of paper towels that I assumed would contain various coins, a plastic tube from a hardware store that originally contained wing nuts, but that now contained what appeared to be a roll of silver coins, a small box with lid and more paper towels littered with additional pencil shavings. I tilted the box and reached for the crumpled up pile of paper towels as I thought this would be fertile ground for bullion silver and while I did so I noticed something scamper across the bottom of the box. At least it moved pretty darn quickly as though it were scampering. I somewhat hesitantly reached after it and was relieved to find out it wasn't a pencil-shaving-hair-trimmings-consuming cockroach, but was instead a circulated, United States gold half eagle that had rolled across the bottom. Nice! I typically tell clients two things prior to looking through their older relative's collections. The first is that rare coins are rare because nobody owns them and the second is that one or two coins will generally be worth as much as the remaining ten pounds of accumulation. While these two observations are not universal, they often hold true and they can prepare people for what will occur. I had expected that this gold half eagle would prove me correct. I placed the half eagle aside and opened up the crumpled up pile of paper towels. Inside there were approximately ten large cents, a gaggle of Wheat cents, a few Bicentennial quarters, some pocket change...and lots of hair trimmings. The Bicentennial quarters had that bright, fleur-de-coin appearance to them as if they had been taken from a roll right from the bank and tucked away while the pocket change was all mid-1970s and this made me believe that this group had not been touched since that time. The initial excitement regarding the large cents evaporated quickly as it turned out that each piece had some combination of severe corrosion, surface pits, digs, scratches, holes or bent planchets. The Wheat cents were all common. I was running out of box and all I had to show for it was a fistful of hair trimmings and a half eagle. Then it happened. I hit pay-dirt, or at least however much pay-dirt can be had in a box the size of a hardcover book. A homemade envelope with "1896 Indian Head" written on it in the practiced hand of someone comfortable with fountain pens. I thought it might be one or more gem 1896 Indian Head cents tucked away since near the time of issue and that had likely turned a mellowed RB. Indeed, when I tilted the envelope out came an 1896 Indian Head cent, in barely VG. Undaunted, I went back to the old, plastic wing nuts container only to find it stuffed to the gills with corroded steel cents and low grade silver Jefferson nickels. 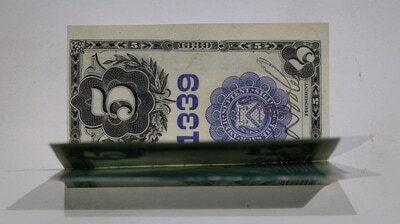 The hope of a roll of silver quarters had evaporated and turned into corroded steel and silver-manganese alloy. The rest of the box seemed to be a mass of wadded up paper towels, even more pencil shavings and disappointment until my hand grabbed hold of a tiny coin purse, the type that my grandmother used to use. This purse was a very light green color with a brass clasp at the top whereas my grandmother's had been identical save for it being black instead of light green. The footprint of the change purse was smaller than a wallet, smaller than a typical PCGS slab and not much larger than a 2x2 coin envelope. My soul had been sucked dry by the corroded steel cents, but when I lifted the change purse I heard the unmistakable sound of a few coins banging together. Therefore, without much expectation, I opened the purse and found several circulated, United States gold dollars...the ones actually made of gold. They were all EF-AU and all common date Type 1 or Type 3 coins, but they were real and they were gold. The final item in the box, hidden partially by the folded cardboard of the box and partially by the never ending supply of paper towels. I took the envelope in-hand, flipped it over and opened it up before determining that I had to photograph the process step-by-step. The gallery of images below shows the uniformly oxidized envelope front with holiday design and fountain pen inscription, the envelope flipped to show the oxidized reverse and then the flap lifted up to reveal how evenly and beautifully oxidized the paper had become over the decades. 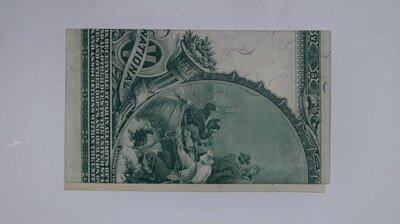 A five dollar note was carefully folded up inside the envelope and the note has retained beautiful, vivid coloration and ink retention. 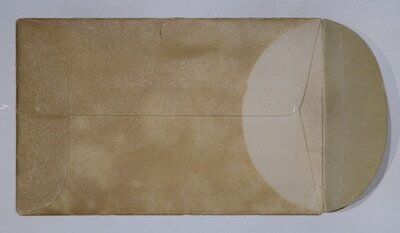 The note within the envelope was crisp, the paper exceptional and the ink bold and bright. 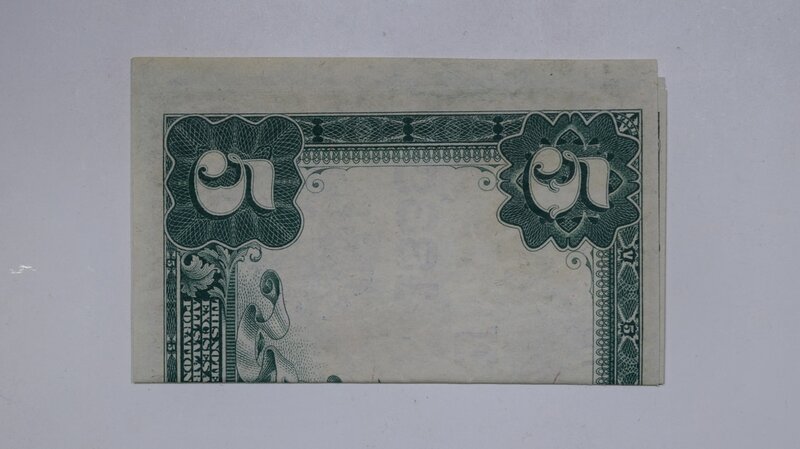 Of course, in order to fit a large size currency note into such a small envelope the note had to have been folded over once and then a second time, which resulted in the note being in four distinct segments. I took the note out and carefully pried it open so as to put no stress on the crisp paper and to avoid imparting any crease or wrinkle. Below are those images. 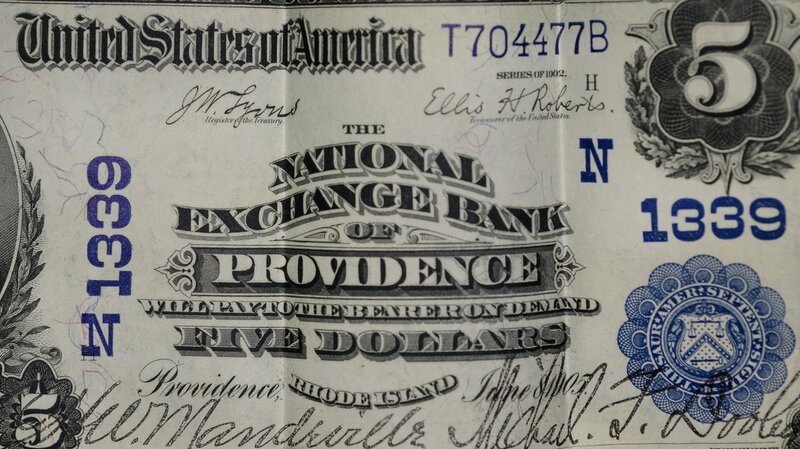 A five dollar National Currency note from the National Exchange Bank of Providence, RI series of 1902 with date June 8, 1905 emerged. The note is fabulous, crisp and glorious though it has poor centering and three obvious, permanent creases. I have my PhD from Brown University and lived and worked in Providence, RI for many years. I don't like many cities, but always adored Providence and enjoyed living there, as well. The value of the note is actually minimal. The blue seal series of 1902 $5 notes from the National Exchange Bank of Providence had in excess of a whopping 140,000 sheets produced, which is a huge number, though obviously nearly all the production has been lost to time. The obverse has a portrait of Benjamin Harrison and the reverse features the famous vignette of "The Landing Of The Pilgrims". It is a visually striking note, as were many of this era. What had been likely a crisp, new, uncirculated note prior to the folding and storage in the envelope might now be net graded severely by some due to the folds. 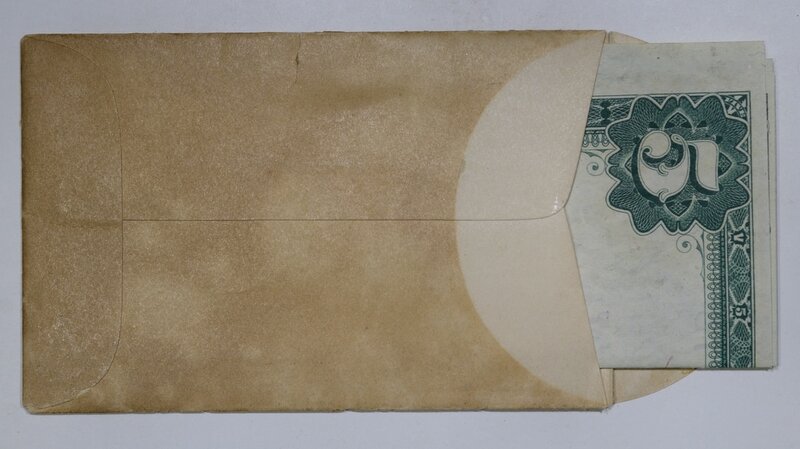 I prefer to consider the folds as part of the history of the note and the reason why the note survived so long after near all its brethren have perished. If not for being folded and stored in the holiday gift envelope, it would be long lost to history. Instead, it is still vibrant and crisp to this day. 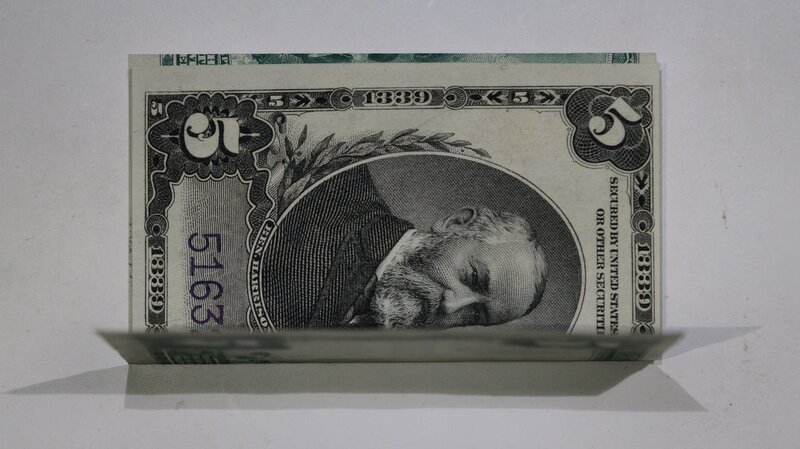 I got a heck of a charge out of finding the note and carefully opened it up while holding it open with two fingers in order to snap some quick images of the obverse and reverse before folding it back into its envelope. 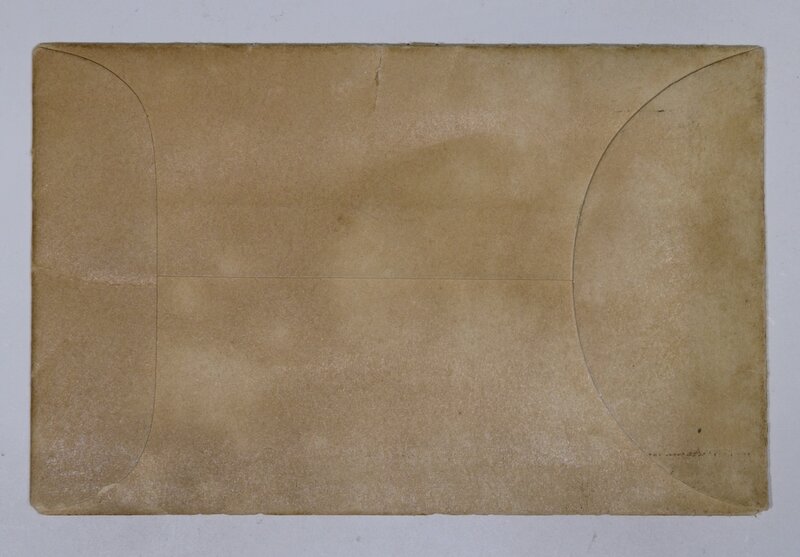 The last image shows the envelope with note again inside along with some of the Bicentennial quarters that were in the box. If one looks closely, a stray bit of clipped hair is present within the obverse field of the Bicentennial quarter along the lower left border of the image. That was unintentional and I find it rather ironic. Examined closely, a hair clipping can be found in the obverse field of the lower left-hand side quarter. Evidence that multitasking did, indeed, exist prior to the Millennial Generation. What had started off with little optimism had finished up with great excitement. Not only was I excited, but my friend and his family were thrilled with what turned out to be a small box that contained well into the four-figures in old coins and currency. This collection held true to the idea that rare coins aren't typically found in such endeavors, but it did produce a number of items that retained individual and significant value.